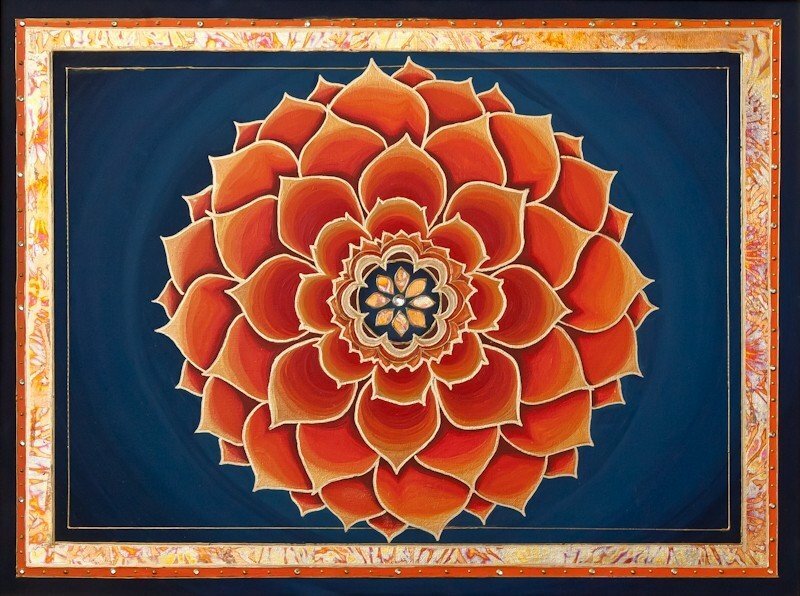 From Fear to Faith | Artwork – Store – Tammi B. Ph.D.
Hand painted mandala 20"x 24" acrylic, mixed medium, gold leafing and Swarovski crystals. I created this mandala when I was struggling with fear. I meditated and asked for an image that would support me in relaxing into a space of peace and faith. I saw a midnight blue sky and an image of an orange lotus emerge. It immediately brought a sense of safety within myself. My life completely transformed in miraculous ways as I created this image.